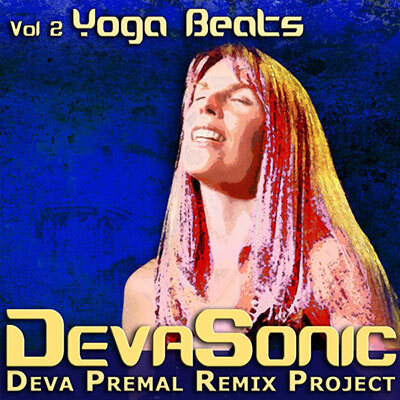 DevaSonic: The Deva Premal Remix Project, features Sanskrit mantras, yoga and meditation music with a beat. Top sound scientists apply their artistry to these classics by Deva, matching forward-thinking ethereal beats to her heavenly vocals – the perfect accompaniment to your movement meditation. Volume 2 of DevaSonic – Yoga Beats – collects four pieces ideal for yoga practice and puts them in the able hands of Cheb i Sabbah, the Bhakti Brothers (featuring MC Yogi), Sean Dinsmore and Desert Dwellers.